The Domancic Method of Bioenergy Healing is well established and documented in Europe. It offers a simple and structured approach that can be mastered by anyone. Focusing on empowering the immune system, it aims to jumpstart a person's own healing mechanisms, and affirms that it can help any condition. It is mainly non-touch based, working with the field. The website observes that bioenergy healing works on biological, emotional and "quantum" levels. Specific step by step protocols help practitioners build confidence. As the website says, the method "is highly structured. It has a simple “recipe” ( protocol) for helping any illness or health condition." One of the benefits they cite from this approach is that it eliminates guesswork and doubt. "Working with the biofield, the method uses 7 simple techniques to directly optimize the immune system, improve blood circulation and to reach a person on a non-conscious plane thus creating the transformation necessary for the body to heal on all levels." Bioenergy healing is structured to provide 4 sessions in 4 days for optimum results. From what I can tell, practitioners are taught NOT to "scan" or read energy. 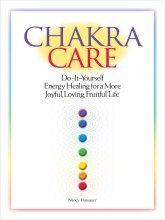 Since for many new students of energy healing, reading or scanning energy is one of the hardest things to learn, this approach seems sound to me. Distance healing is taught to Level 2 students. An interesting aspect of the Domancic Method is that practitioners, after a certain level of training, are encouraged to do sessions in a group setting. Practitioners are expected to use the method just as taught, not improvising or blending it with other methods. They have trainings throughout Europe and offer them in the U.K., the U.S., and Canada as well. The Domancic Method was developed in the 1970′s by Zdenko Domancic. At the Domancic Clinic in Slovenia, the largest Bioenergy clinic in the western world, Zdenko Domancic and his team treat some 140 people a week, often with a waiting list of 6 months or more. Return from Bioenergy Healing to Types of Energy Healing main page.